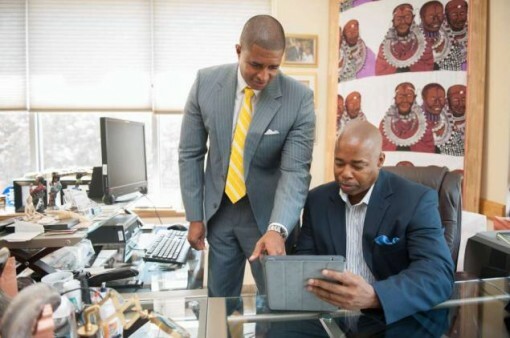 The Brooklyn Quality of Life app is the brain child of Senator Eric Adams (of Brooklyn). The app was unveiled on Sunday in an effort to make it easier for anyone (with a smartphone and the app installed, of course) to report a crime anonymously. I suppose that calling 911 may prove to be a hassle for some people, hence the idea for the app. The principle is simple – as it should be. A user who has the app installed on his smartphone simply has to take snapshots of criminal activity – or suspected criminal activity. Alternative, a voice recording can also be made. What I am not sure about is whether video is supported as well. The app then uploads the material, which is seen by retired law enforcement volunteers. It is their task to share the information with investigators via a private Facebook page. In theory, it seems reasonable, doesn’t it? With the obsession people have with apps these days, why not make an app to report crime? One positive point about the Brooklyn Quality of Life app is the fact that it does not require the person reporting a crime to disclose his identity. Quite understandbly, some people shy away from reporting something because of anonymity (or lack of it). However, how can people be assured that their number (and thus, identity) cannot be traced by the app? Additionally, it seems that the police is not an inherent part of how the app and its system. In fact, that is one big argument of some lawmakers against the Brooklyn Quality of Life app. So what do you think? Will an app like this make the quality of life in Brooklyn (or elsewhere for that matter) better? Or is it superfluous?